Imagine being responsible for the life or death of 55,000 dogs and cats every year. As the General Manager for the City of Los Angeles Animal Services Department, the desperate need of these animals weighed on my mind every day. I was determined to end pet homelessness and the practice of killing and disposing of our society’s surplus companion animals. Today, most cities and towns across the nation share this noble and ambitious goal. Achieving this requires robust community participation, and our cities desperately need the support of an overlooked constituency−landlords. A report issued by the Foundation for Interdisciplinary Research and Education Promoting Animal Welfare (FIREPAW) indicates that half of all rentals in the U.S. prohibit pets. When coupled with 2016 Census data, the research suggests that more than 41 million animals are left unadopted due to these policies, since a staggering 35 percent of tenants without pets would own one if permitted. Furthermore, landlords reap huge financial rewards for embracing pet-friendly policies. For instance, tenants in pet-friend housing remain tenants two and a half times longer than those who live in rentals prohibiting pets. The vacancy rate for pet-friendly housing was meaningfully lower than the rate for “no pets allowed” rentals. And a quarter of applicants inquiring about rentals in non-pet-friendly housing were seeking pet-friendly rentals. 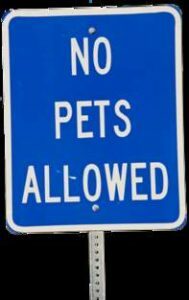 With such a substantial potential tenant pool we could easily find enough pet-friendly housing to place every homeless pet. In a perfectly functioning market, where people make rational, profit-maximizing decisions, it makes good business sense to offer pet-friendly housing to renters willing to pay a premium to cover any extra costs to landlords. 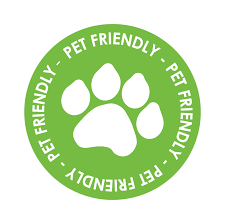 Why then are there so few pet-friendly rental units available if the benefits are so clear? Among landlords who do not allow pets, damage was the greatest concern, followed by noise, complaints, tenant conflicts, and insurance issues. Concerns about people leaving their pet or not cleaning common areas were rarely cited. Although 85 percent of landlords permitting pets reported pet-related damage at some time, the worst damages averaged only $430 for the term of the lease. This is less than the typical rent premium or pet deposit. In most cases, landlords could simply subtract the damage from a pet deposit and experience no real loss at all. Most would stand to profit. Other pet-related issues, such as noise, tenant conflicts concerning animals, or common area upkeep, required slightly less than one hour per year of landlord time. By comparison, this was less time than landlords spent for child-related problems. Whatever time landlords spent addressing pet-related problems was offset by spending less marketing time pet-friendly units by a margin of eight hours per unit. The study found problems arising from allowing pets are minimal and the benefits frequently outweigh costs. Landlords profit from allowing pets because, on average, tenants with pets are willing and able to pay more for the privilege, particularly in market-rate apartments exempt from rent-control. In Los Angeles, over 4,600 pets were euthanized over the past year. If only 10 percent of the pet restricted households in LA permitted companion animals, it would create a demand far greater than the number of homeless pets dying in our shelters, allowing LA to finally achieve its no-kill goal. What would landlord support mean in your community? The lack of available pet-friendly rentals reveals there is a long way to go to meet current demand. Many landlords are overlooking an opportunity to increase revenue and their customer pool by allowing pets. Perhaps, legislation requiring landlords to file for special, city approval to disallow pets could help correct this market failure. The benefits to the thousands of homeless pets who are dying for lack of a home each year cannot be overstated. Landlords can make a profitable, life-saving choice by permitting pets. 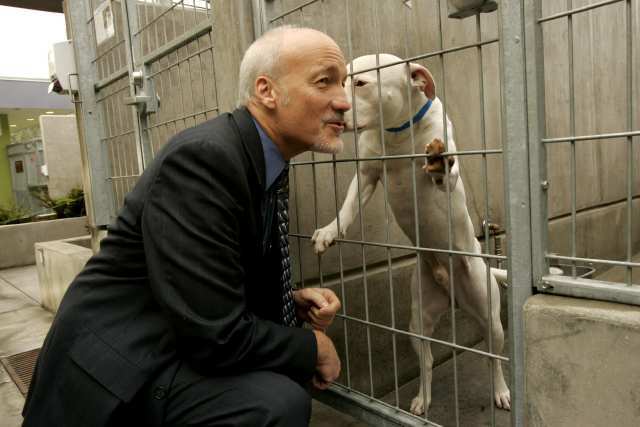 Ed Boks is the former executive director of the New York City, Los Angeles, and Maricopa County (AZ) Animal Care & Control Departments. Boks currently works as an independent consultant, providing proven no-kill solutions to shelters and communities. He was born and raised in Harper Woods, MI.